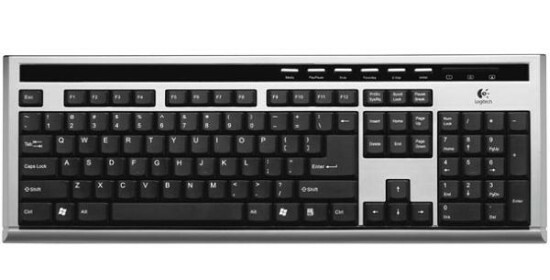 My favourite keyboard, the flat Logitech UltraX Premium, had been giving me trouble. Some keys were getting stuck down when pressed and only popped back up after a few seconds, very slowly. Quite frustrating. So I decided instead of sending it in for replacement to do a little experiment and see if it was true that you could wash your keyboard with water. I found what I hoped would be a temporary replacement keyboard, unplugged the Logitech keyboard and took it to the shower. It felt a little weird and wrong to point the shower head at it and turn the tap. I immersed it fully into water for a few minutes, cleaned it with a soft brush, then pulled it out and let it dry over the rest of the weekend. Guess what happened when I plugged it back in? It worked PERFECTLY! Every single key works, the NumLock and other lights work and the stickiness is 100% gone. Just like new! Hooray! UPDATE: washed the temporary replacement keyboard too. Plugged it in after two days of drying in the sun. First it looked like it didn’t make it through. Some keys were sending two different characters when pressed. For instance pressing o would send op and vice versa. I gave it an additional day to dry before throwing it out and voila – now it works 100% just like the Logitech one. UPDATE 2: another one washed without problems, this time a generic PS/2 keyboard. Took a little longer to dry but works 100% now. So much dirt!